Tina Turner's biggest commercial success came with her first album release of the eighties, "Private Dancer". Released in 1984, it sold around 250,000 units each week for 2 months in the U.S. Worldwide the album has been estimated to have sold over 20 million copies. An astounding seven of the album's ten tracks (nine in the U.S.) were released as singles! During the 1970s, Tina's four studio albums failed to make any impact on either the British or US charts. Indeed, they were hard times for the singer who was trying to recover from divorcing musician Ike (after alleged domestic abuse) and make it as a solo artist. 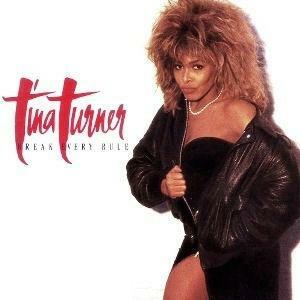 Tina recorded two more studio albums in the 80s, and these were "Break Every Rule" (released in Sept 1986 - Worldwide sales 12 million) and "Foreign Affair" (released Sept 1989 - Worldwide sales 9 Million). The latter album sold particularly well in the UK and went 5 x Platinum). 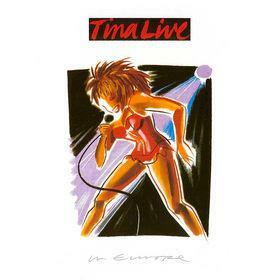 A live album entitled "Tina Live in Europe" was also released in March 1988 and went Gold in the UK. 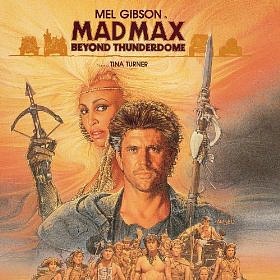 Two singles were also released from the soundtrack album "Mad Max, Beyond Thunderdome" which was released in 1985. This included the massive No.2 UK hit "We Don't Need Another Hero" and "One Of The Living" which reached No.15 in the UK singles chart. Other big hit singles of the 80s included "What's Love Got to Do With It" (No.3 - UK) and "Let's Stay Together (No.6 - UK). 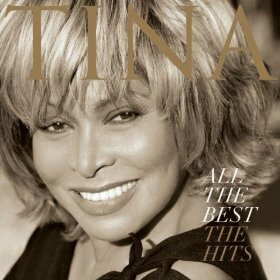 So far, Tina Turner has achieved 29 Top 40 singles in the UK, including the re-release of "(Simply) The Best" during 2010 which reached No.9 in the UK singles chart. This No.2 hit single (in the UK) was the first track to be lifted from the soundtrack album Mad Max, Beyond Thunderdome, and became the singer's seventh hit of the eighties. Tina starred in the film herself as Aunty Entity, alongside Mel Gibson. The soundtrack was composed by Jean Michel Jarre's father Maurice, and features the Royal Philharmonic Orchestra. 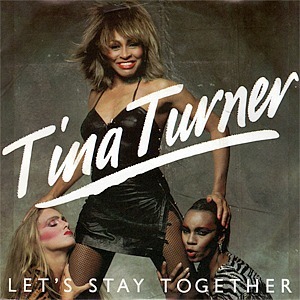 Peaking at No.6 in the UK, this comeback single for Tina Turner was the first track to be lifted from the hugely successful Private Dancer album, which was later released in the spring of 1984. This cover of the Al Green song (which originally featured on the album of the same name in 1972) was Tina's first release of the eighties and also reached #26 in the U.S. and #3 in the Hot R&B charts and #1 in the U.S. Dance Chart. Al Green's version reached #7 in the UK. 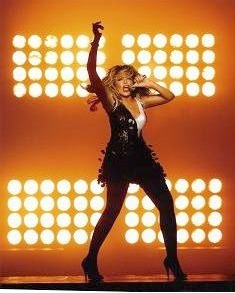 Tina Turner's sixth solo studio album was released in September 1986 (on the Capitol Records label), reaching #4 in the US and #2 in the UK and achieving Platinum sales in both countries. The album topped both the Swiss and German Charts. Many guests featured on the album with David Bowie, Bryan Adams and Mark Knopfler helping to pen a track each. Phil Collins played drums on What You See Is What You Get, guitars were played by Eric Clapton on Two People and Steve Winwood played keyboards on Afterglow. 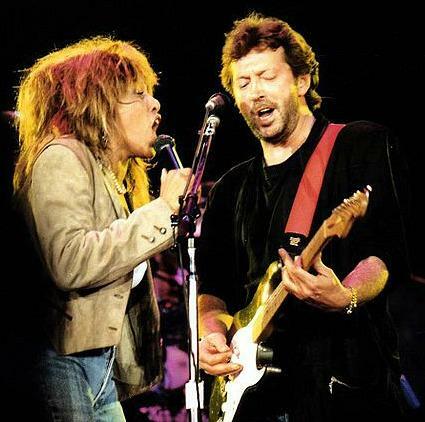 Released in 1988, Tonight (Live) was lifted from Tina's first live album, and it topped the Dutch Mega Charts. The duet was first recorded in 1984 and featured on the David Bowie album of the same name. Written by Bowie and Iggy Pop, the original track was included on Iggy Pop's Lust For Life album which was released in 1977. The second single to be lifted from the Foreign Affair album was Tina Turner's final hit single of the eighties, reaching #8 in the UK. Surprisingly, this very memorable song was only a minor hit across Europe, and in the majority of countries failed to break into the Top 20. The B-side featured a new track entitled Stronger Than The Wind.